If there’s one thing that IKEA has brought to humanity, it’s how to assemble flat-pack furniture with little more than an Allen wrench and a dream. Deux Filles En Fil’s flat-pack bags and accessories, made from salvaged leather and fabric offcuts, are a mite easier to piece together. Constructed locally in Maine-et-Loire in western France, the space-saving carryalls can be folded and clipped together to create several three-dimensional variations on a theme. Each design, from the capacious Le Pop’ins carpetbag to the day-to-night La Pochette clutch, comes flat-packed on a recycled cellulose base. You’re not left to your own devices, of course. 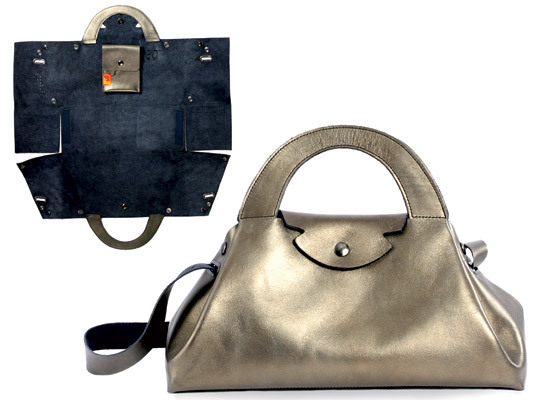 Deux Filles en Fil includes detailed instructions on how to mold the bags into shape, origami-like, using the built-in press studs and Velcro. If there's one thing that IKEA has brought to humanity, it's how to assemble flat-pack furniture with little more than an Allen wrench and a dream. Deux Filles En Fil's flat-pack bags and accessories, made from salvaged leather and fabric offcuts, are a mite easier to piece together. 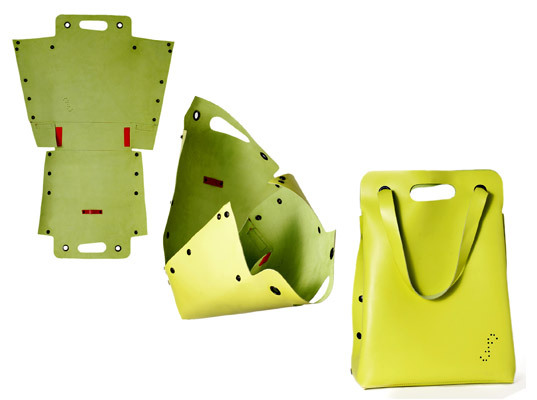 Constructed locally in Maine-et-Loire in western France, the space-saving carryalls can be folded and clipped together to create several three-dimensional variations on a theme.